Weidenfeld & Nicolson, 1993, Hardback in Dust Wrapper. From the cover: “With The Age of Arthur John Morris was the first professional historian to undertake a comprehensive assessment of the scattered evidence concerning the infant years of England, Wales, Scotland and Ireland, their influence upon each other and their relationship with Europe. His highly-praised history is now the classic account of the British Isles from the 4th to the 7th Centuries, from the fall of Rome to the conquest of Britain by the English. Britain in the 4th century was a wealthy and integral part of the sophisticated Roman empire, when those same factors that destroyed the empire brought civil war to Britain. The first English in Britain, the barbarian troops employed by the Roman government, mutinied in the 440s. After fifty years of intermittent struggle they were finally overcome by the British, led by Arthur, who restored the forms and institutions of imperial Rome. But Arthur lacked the foundation of the integrated Roman economy, and his empire dissolved into rival warlord kingdoms. Continuing wars enabled the English to rebel for a second time and, between 570 and 600, to master most of what is now England. 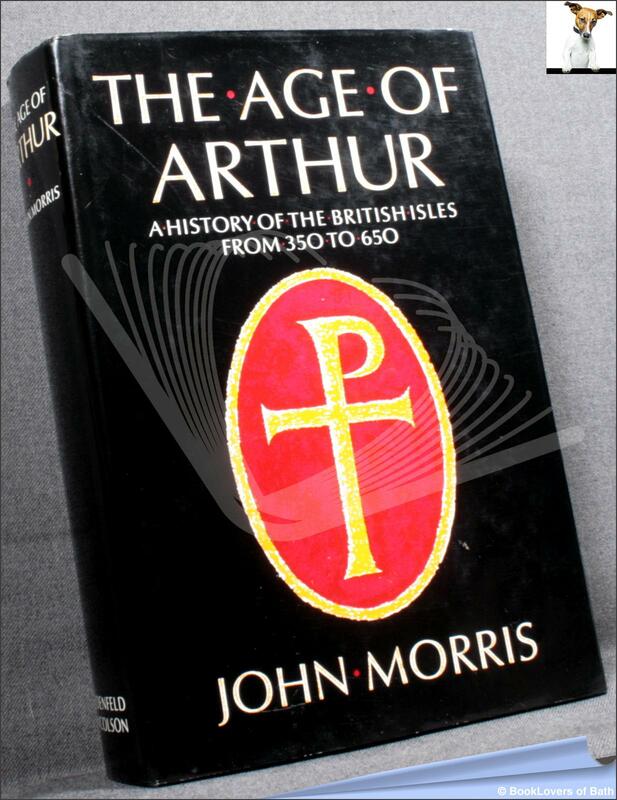 The seventy-five years of British supremacy bequeathed the legend of Arthur and inspired a movement away from warlord tyranny into monastic society. The British victory gave the British Isles an independent future. The British (called Welsh by the English) retained their identity in Wales, but in England were slowly absorbed by the English. Monastic Christianity bound together the English, the Welsh, the Irish and the peoples of the future Scotland in a common religious outlook, linked with Europe. Size: 9½" x 6¼". Black boards with Gilt titling to the Spine. [XVIII] 665 pages.